Bettermaker expands the line with the parametric EQ section of the EQ 232P in a 500 series format. 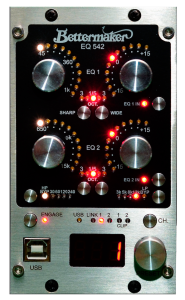 You can connect up to 99 EQ542?s to one D.A.W. and control them with dedicated plugins. 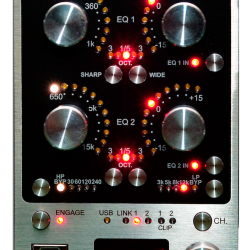 (At this time, there can be connected up to two Bettermaker EQ500 series products for one USB port).